CILEGON, 5 November 2018 – The 7th ASEAN Regional Disaster Emergency Response Simulation Exercise or ARDEX was officially opened by the National Disaster Management Authority of Indonesia (BNPB) and the ASEAN Coordinating Centre for Humanitarian Assistance on disaster management (AHA Centre). The opening ceremony was also witnessed by the Secretary-General of ASEAN, the Governor of Banten Province and the Mayor of Cilegon City. 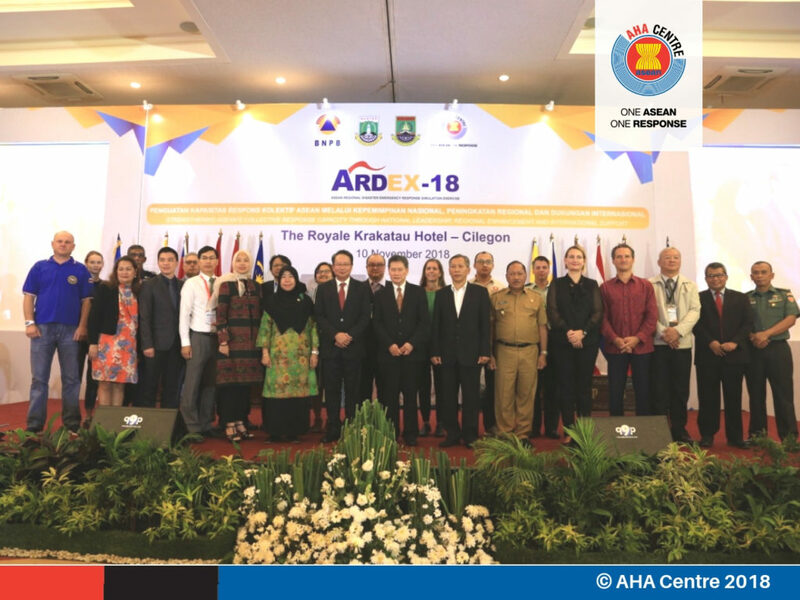 ARDEX takes place in Cilegon, Banten, and engage hundreds of representatives from ASEAN Member States who are responsible in implementing the national/regional disaster management strategies. 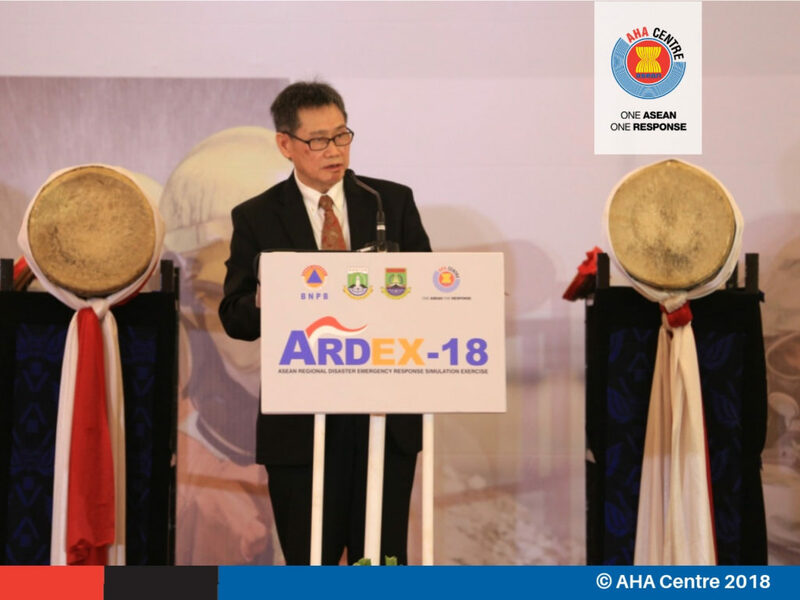 “ARDEX is an effort to demonstrate ASEAN’s solidarity in increasing disaster readiness, mitigation, and preparedness in Southeast Asia. 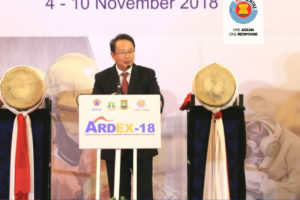 ARDEX also serves as a platform to enhance our collective capacity and share the ideas to attain the best possible disaster management efforts,” said H.E. Willem Rampangilei, Chief of BNPB, during the opening of ARDEX in Royal Krakatau Hotel, Monday, 5 November. ARDEX combines both strategic as well as tactical components which are embedded in transnational disaster response. Therefore, the simulation exercise include indoor table top discussions between the decision makers, in parallel with outdoor command post exercises (CPX) and joint field training exercises (FTX) for the humanitarian responders. The preparation for ARDEX has started since late 2017, integrating the existing agreed mechanisms which are applicable in ASEAN. 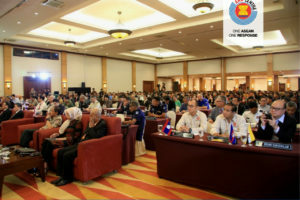 For example: the ASEAN Joint Disaster Response Plan (AJDRP), the ASEAN Standby Arrangements and Standard Operating Procedure (SASOP), the ASEAN Emergency Response and Assessment Team (ERAT), and the guidelines to establish the Joint Operation and Coordinating Centre of ASEAN (JOCCA), which will serve as the field-hub for international actors who provide support in any disaster-affected sites within Southeast Asian borders. Whereby the aforementioned mechanisms and agreements have been adopted by and known to disaster management authorities across ASEAN, such as BNPB, the complexity of an emergency response often require broader multi-sectoral partnerships. Thus, the participants of ARDEX include government officials, humanitarian organisations, search and rescue organisations, defence and military officials, private sector, civil society and academic community, to test their response based on a scenario of multiple risks in the industrial site: earthquake, tsunami, and leakage of hazardous materials. Through ARDEX, ASEAN countries aim to better mitigate disaster risks and ensure a timely coordinated-response is properly conducted to minimise loss of lives and damages. 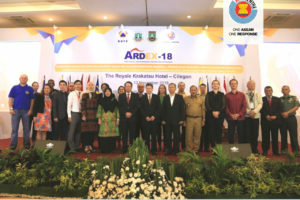 ARDEX is designed as a participatory and inclusive platform to enable a coordinated inter-agency disaster response at the national, regional, and international fora. Therefore the involvement of search and rescue teams, military actors, emergency medical teams, Ministries of Foreign Affairs, corporates, academe, civil society and media partners, among others, are deemed mandatory and non-optional. 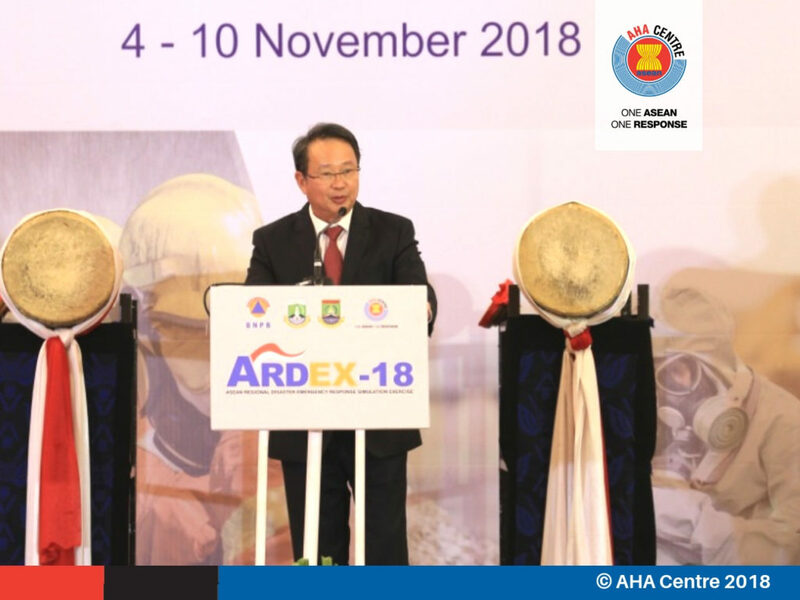 The 2018 ARDEX is attended by over 100 international delegations from ASEAN Member States, Australia, Canada, the European Union, Great Britain, Japan, New Zealand, Norway, Russian Federation, Switzerland, United States of America, ASEAN Secretariat, the United Nations, and the AHA Centre. Based on scientific risk-analysis conducted by government officials and scientists, Cilegon is classified as one of the areas that is vulnerable to earthquake and tsunami. On the other hand, as an industrial city, Cilegon is also exposed to industrial hazards. These reasons founded the assignment of Cilegon as the host of the regional disaster simulation exercise. 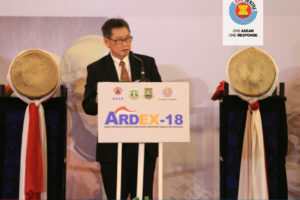 ARDEX in general aims to test and evaluate the existing mechanisms and its interoperability between ASEAN countries in delivering information, coordination, and emergency responses, which includes the roles of the AHA Centre in operationalising the commitment embodied in the Declaration of One ASEAN One Response: ASEAN Responding as One in the Region and Outside the Region. BNPB is Indonesia’s National Disaster Management Agency. BNPB is a non-departmental ministerial-level government agency, tasked with providing guidance and direction to the efforts of disaster management that includes disaster prevention, emergency response, rehabilitation and reconstruction in a fair and equal way. BNPB functions as a policy maker regarding refugee/IDP management for effective and efficient response. It coordinates the implementation of disaster management activities in a planned, integrated and comprehensive way. 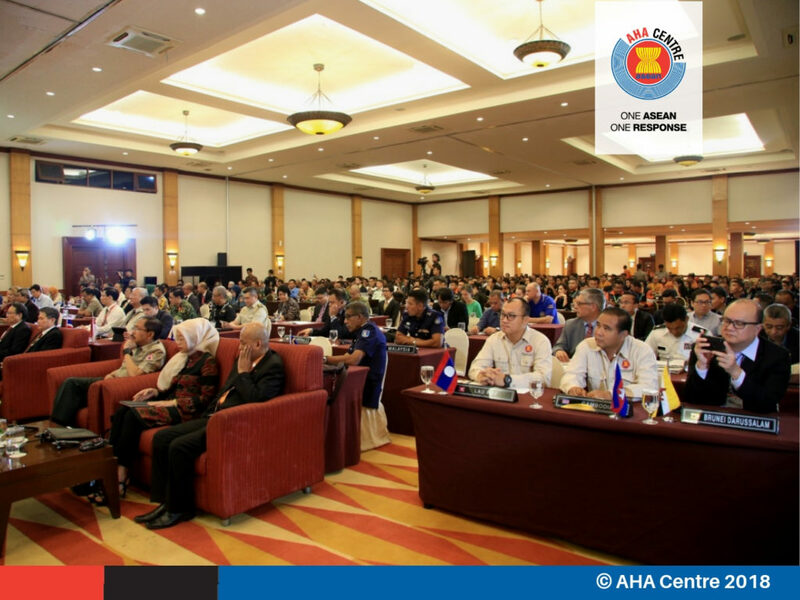 The AHA Centre is an inter-governmental organisation established by ten (10) ASEAN Member States on 17 November 2011 with the aim to facilitate cooperation and coordination amongst ASEAN Member States and with relevant United Nations and international organisations in promoting regional collaboration in disaster management. The AHA Centre is based in Jakarta, Indonesia. Within 7 years of its operation, the Centre has been trusted by ASEAN countries to support 25 emergency responses and 5 preparedness missions.